Not everyone knows about the Old Cadet fire hazards that lurk in Salem Homes. A few years ago a little company was producing a neat little electric wall heater that was easily installed, relatively inexpensive and allowed wonderful zonal heating (read-“energy efficient”)! Things were wonderful for sometime but like most things there were a few issues with the first models. The little electric heaters were made by the Cadet corporation and after the release to the general public it was discovered that if housekeeping was not top notch these little heaters had the tendency to overheat (read-“catch on fire” and there could be “flames, sparks or molten particles spewing through the front grill cover of the heaters into the living areas”)! The problem arose at the heat exchanging point. 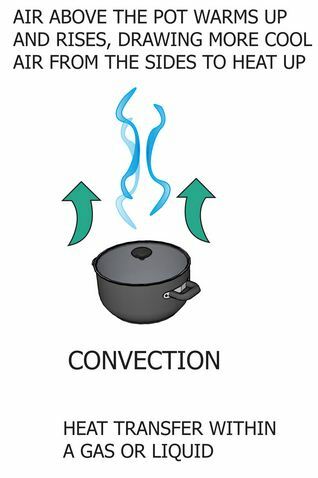 This is the point in every heating device where the heat that is produced in the heating device is transfered or “exchanged” to the medium that will carry heat to the home. The little wall heaters used fans to transfer heat directly to the home’s air through convection. The more surface area that the heating device can have exposed to the house air the better the transfer of heat. The more volume of air flows through the device the better transfer as well. There is a point between these two conditions where a balance between the two is chosen. The little wall heaters that were brand new, met both of those expectations very well. Lots of heating elements (red hot wires) exposed to the air and the little fans did a very functional job of moving a large volume of air over the heated electric coils. To prevent the red hot wires from getting dirty, which would insulate the heater elements from the air, hampering the exchange of heat, a small screen was placed in front of the fan. The little screen did a good job of keeping the elements clean, too good of a job. The screens, especially in dusty areas or homes with pets became plugged very quickly. 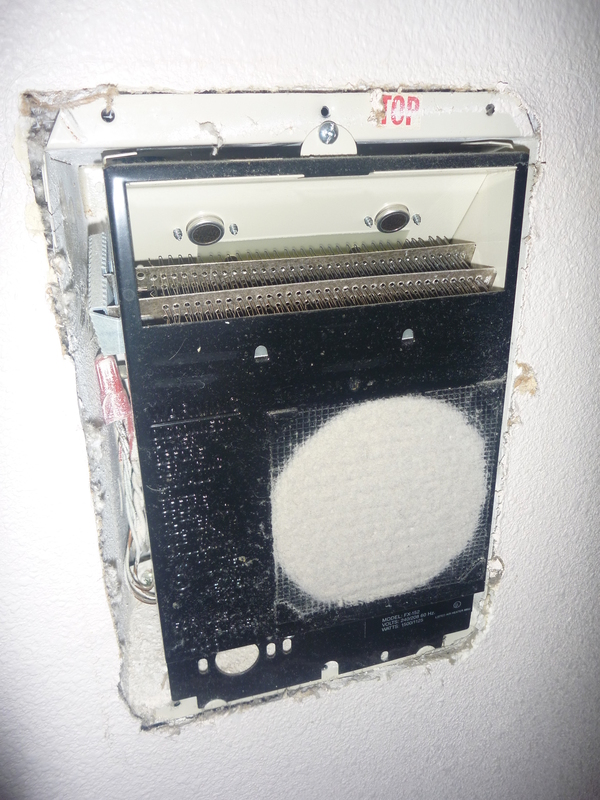 Even with the label on the side stating, “clean the heater fins every month,” these screens and heaters got neglected. Although the heaters had wonderfully clean elements, the flow of air had been destroyed by the plugged screens. The thermostats didn’t know about the restriction of air and kept asking for heat. The elements got hotter and hotter as very little house air was able to flow over the elements to absorb the heat. This occurred over and over until the unit or the wall or both caught fire. This is not new information as the CPSC noted the recall in Jan 1999. However, I still see the dangerous units in homes that I inspect around the Salem area. The moral of this tale is; while we are in our friends, family and neighbor’s homes this holiday season we should keep our eyes open for these dangerous units. 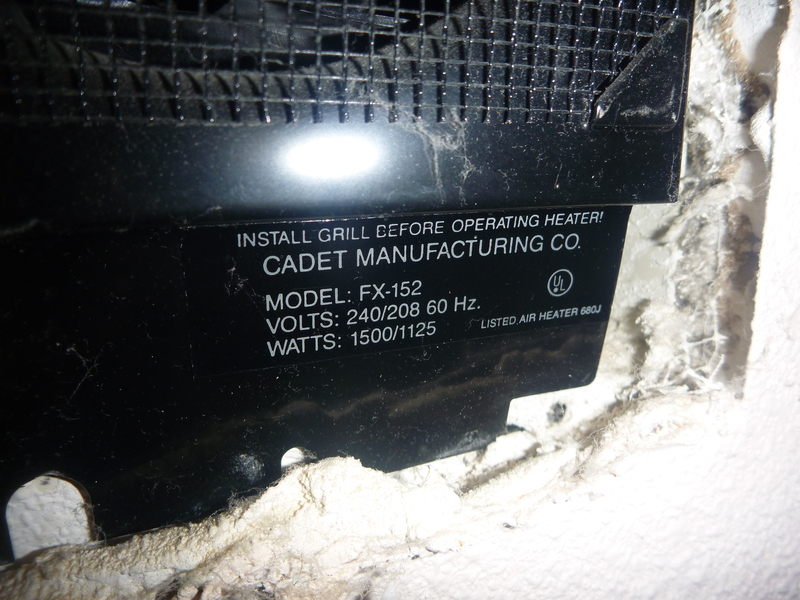 We should mention the recall to our hosts if we notice the electric wall heaters. The model number should be on the inside of the unit and behind the front panel. At the risk of being like me, “that annoying home inspector guy,” you should try to locate the serial number without removing the panel. I have learned that it is rude to take out a screw driver and start removing panels during a dinner party! Also there is that little thing of high voltage live wires behind the panel…..
At the very least, you have a conversation starter for those awkward moments during the parties……..